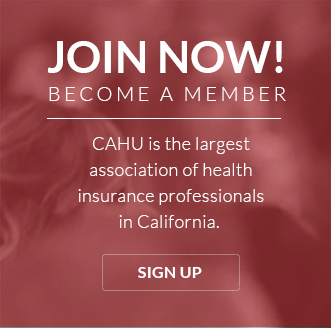 The California Association of Health Underwriters (CAHU) was founded in 1989 and today has well over 2,000 members. We are the state’s largest organization of professional health insurance agents and brokers, who collectively represent more than one million California healthcare consumers. CAHU has 13 local chapters throughout the state, and we are also members of the National Association of Health Underwriters (NAHU), headquartered in Washington, DC. We are committed to serving our clients and communities through education, advocacy and professional development, and we proudly follow NAHU’s Code of Ethics. 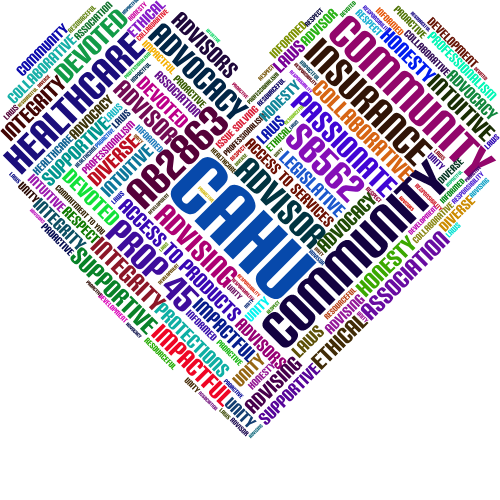 As a CAHU member, you have immediate access to a vast array of services and resources to grow your business, deepen your expertise, and expand your toolbox with information, education, and quality networking. 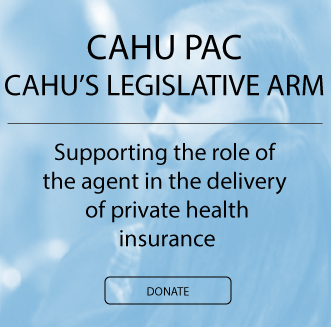 Join today and see for yourself why CAHU is the association for professional health insurance agents and brokers. Stay on top of the latest healthcare legislation affecting your business -- become a CAHU member today. CAHU Membership Video 2016 • Join us and become a member today! To learn more about becoming a CAHU Member, email us at: Membership@CAHU.org or contact Maggie Stedt, Vice President of Membership. Contributions or gifts (including membership dues) to CAHU are not tax deductible as charitable contributions. Pursuant to the Federal Reconciliation Act of 1993, association members may not deduct as ordinary and necessary business expenses, that portion of association dues dedicated to direct lobbying activities. Based upon the calculation required by law, * of the dues payment only should be treated as nondeductible by CAHU members. Check with your tax advisor for tax credit/deduction information.